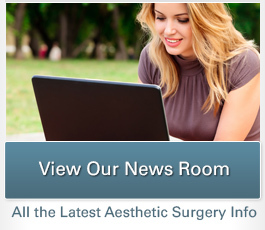 A trusted expert in the field of plastic surgery, The Doctors television program has turned to Dr. Petti on several occasions to introduce the public to some of the latest procedures and technology available. Follow the links below to learn more about each of Dr. Petti’s appearances. In this episode of The Doctors, plastic surgeon Christine Petti, MD demonstrates SculpSure®, a newly FDA-approved fat reduction treatment that can effectively eliminate excess fat with non-invasive laser technology. Non-surgical SculpSure® treatment literally destroys fat cells in the targeted area to diminish fat volume and create a more slender appearance. Plastic surgeon Dr. Christine Petti performs the latest smart liposuction procedure on Amanda, a new mom. The innovative technique uses fiber optic laser technology to melt fat and tighten skin, and is so precise it only requires local anesthesia. The laser coagulates the blood vessels, resulting in less bruising and less swelling. In this episode, Dr. Petti was asked to evaluate and correct a “double chin”. 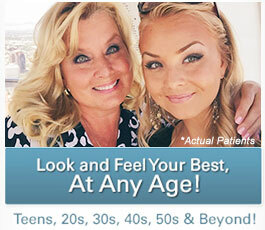 Tricia, the patient chosen by Dr. Petti, is a 30 year old model, actress and bride to be. She has had a double chin all her life, despite the fact that she had been in perfect physical condition. She thought about having it corrected all her adult life, but with the wedding coming up-she now had a timely motivating factor. 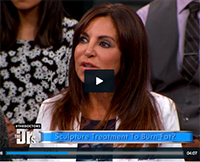 Watch Dr. Christine Petti during this feature as she reveals her facial plastic surgery makeover patient, Debra, to the world! Debra, 46, wanted a new, youthful look and underwent the ultimate facial makeover by plastic surgeon Dr. Christine Petti. Dr. Petti injected filler on Debra’s frown lines and crow’s feet, performed Smartlipo Triplex™ on her neck, added Sculptra to her forehead and cheeks for volume and Juvederm into the lips and performed a rhinoplasty. During this episode, Dr. Petti and her patient Marie demonstrate a state-of-the-art procedure called Cellulaze™ which is FDA approved and shown to reduce cellulite for a year or longer with one treatment. Marie and Dr. Petti join The Doctors just six days after the procedure to reveal Marie’s amazing results.